Walk the complete Tour du Mont Blanc self guided through France, Italy and Switzerland, staying in comfortable accommodation each night. 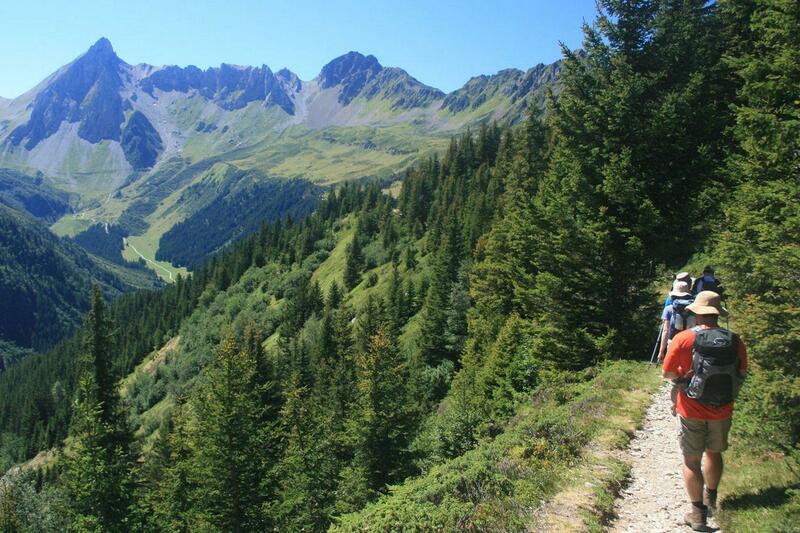 It’s the perfect Alpine trek for those who prefer their trekking in comfort. The Tour du Mont Blanc is a trek filled with superlatives from beginning to end and the ever changing mountain panoramas will just blow you away. 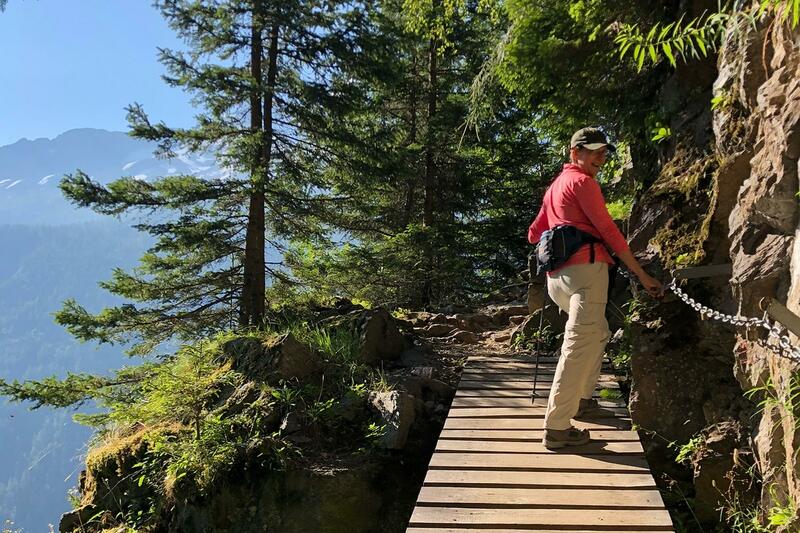 Your trek starts and finishes in Les Houches (with the last night in Chamonix) and covers all of the trail so that you won’t miss a single step of this fabulous walk. 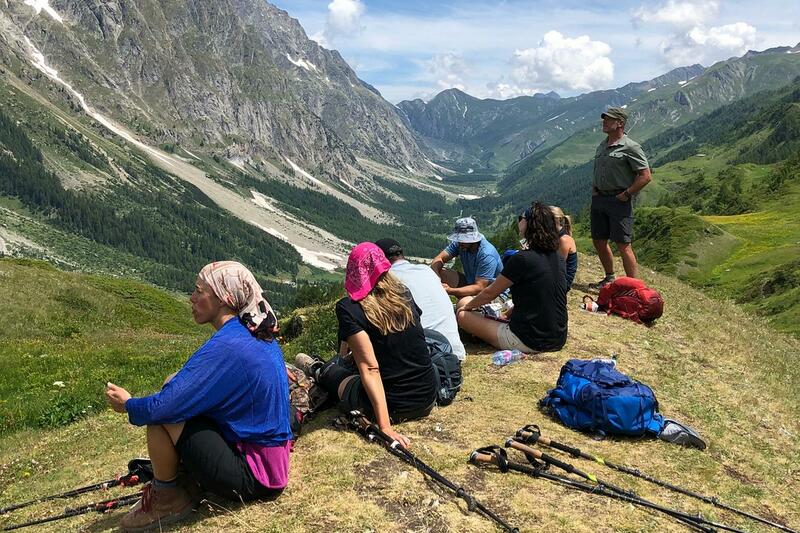 The trail starts in Les Contamines Nature Reserve, followed by a fabulous few days through the Val Veni and Val Ferret and finishes on a high with two days walking in the Aiguilles Rouges, which give the best views of the Mont Blanc Massif. The pretty village of Les Houches is easily accessible by either train or shuttle from Geneva Airport in just over an hour. On arrival you can settle into your comfortable hotel, stroll through the town and get ready for your adventure on the Tour du Mont Blanc. Enjoying wonderful views, the 2 star Chalet Hotel Campanules punches well above its weight with great views, service and comfortable rooms. Enjoying a wonderful outlook the 3* Hotel du Bois offers comfortable rooms, great food and has a sauna and swimming pool. Your Tour du Mont Blanc starts with either a climb from Les Houches out of the Chamonix Valley to Bellevue(1801m) or a quick 10 minute ride on the Bellevue telepherique (recommended). 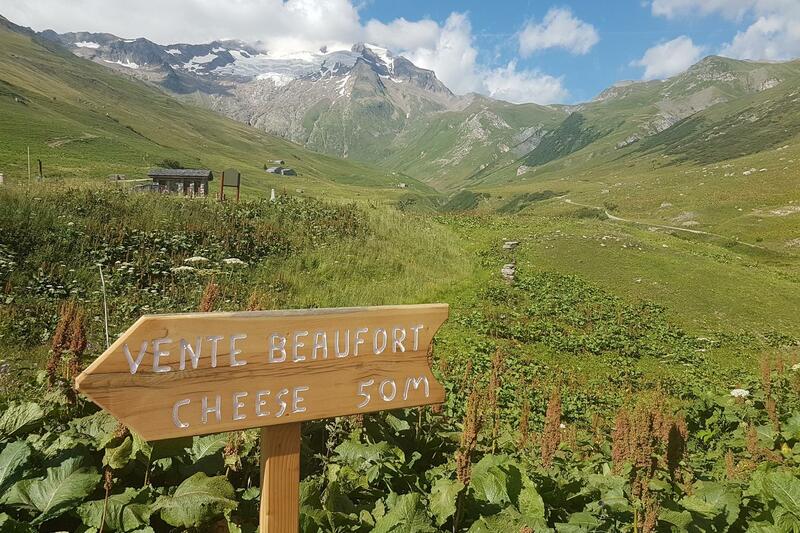 At Bellevue you have the option of taking the tough route via Chalet de Miage, which is dominated by the Dôme du Goûter and Aiguille de Bionnasay as you pass just beneath the snout of the Glacier de Bionnassay. After passing the idyllic Chalet de Miage you descend to Les Contamines. The easier option winds through beautiful forests and through alpine pastures via Bionnassay to Les Contamines. Optional Cable Car: Reduces both routes by 2 hours and 900m of ascent. The Chalet style Hotel Chemenaz is just outside the village, has 38 bedrooms and a swimming pool. Ideally located in the centre of the village the Mermoud family have been welcoming guests to this friendly mountain style hotel for three generations. A gentle start from Les Contamines for the first 5km along the valley floor to chapel at Notre Dame de la Gorge (shuttle transfer possible). Here the path turns upwards and climbs steadily on the Chemin Roman through the Contamines Montjoie Nature Reserve towards the distant Col du Bonhomme. A steady climb reveals increasingly rugged views of the high peaks and you quickly reach the rugged landscapes of the Col du Bonhomme (2329 m). A further hour on rough and rocky ground brings up the Col de la Croix du Bonhomme. Here you can either climb over the Col des Fours (2665m) and descend steeply to Refuge des Mottets or alternatively descend to Les Chapieux. Walk to Les Chapieux: 18km, 1300m Ascent, 950m Descent, 7 – 7.5 Hours. 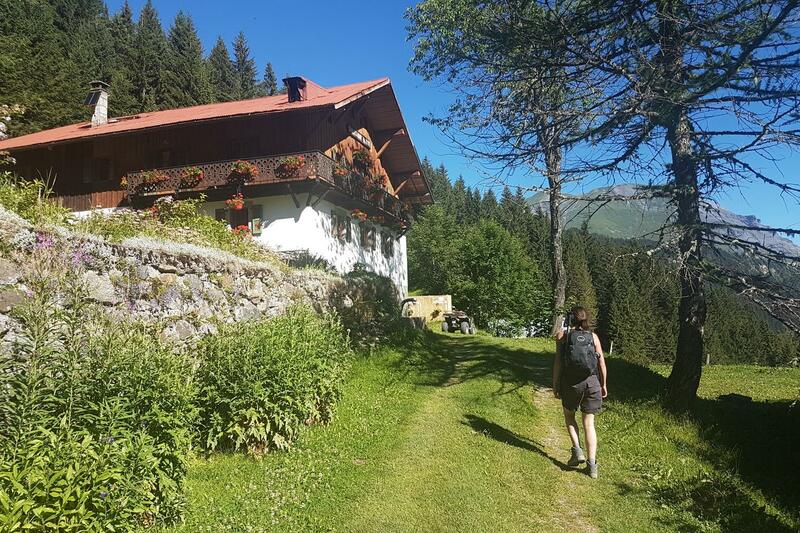 Dinner & Overnight: Either Refuge des Mottets, which is an idyllically located mountain refuge that was refurbished recently and has comfortable private rooms and is well known for its hearty evening meals. Or: Refuge de la Nova in Les Chapieux. This is a friendly mountain hotel in a lovely location and the next morning you simply take the shuttle bus up to Refuge des Mottets. The Col de la Seigne (2516m) and lies a steep 750m above the Refuge des Mottets and is where you leave France for Italy. Just wait until you see the view! Stupendous! The steep southern side of the Mont Blanc Massif, made up of jagged peaks, hanging glaciers and plunging waterfalls, seems close enough to touch. 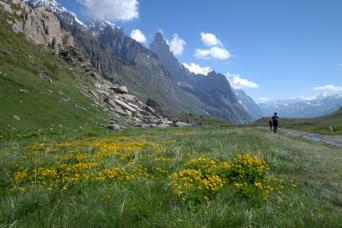 The trail descends through high alpine meadows past refuge Elisabetta into the Val Veni. Here you must choose either the tough option which climbs via Col Chécrouit to Courmayeur or the easy option of continuing past the snout of the huge Glacier du Miage to Visaille, where you catch the shuttle bus into Courmayeur. Located just a few minutes from the pedestrianised centre of Courmayeur the family run Hotel Bouton d’Or is wonderfully friendly and has a calm garden and terrace in which to relax. or: Hotel Crampon***, Courmayeur Located in the heart of Courmayeur the family run Hotel Crampon has a large garden and comfortable rooms. In good weather the walk from Courmayeur to Rifugio Bonatti is guaranteed to be one of the most memorable of your Tour du Mont Blanc. Choose from three variations for the next section, all of which start with a steep climb from Courmayeur. The main route then contours around the flank of Mont de la Saxe on an undulating path giving you plenty of time to take in the dramatic icy panorama of the Mont Blanc Massif and Grand Jorasses across the valley. The variants via Col Sapin or Mont de la Saxe include more climbing but the views are arguably better. Whichever route you choose, Rifugio Bonatti, the crème de la crème of alpine refuges, marks the end of your day. The privately owned Rifugio Bonatti has a reputation as one of the best in the Alps. You will have a private twin room. Your bags cannot be transferred to Bonatti due to a lack of road access so you will need to carry a few overnight things with you. The day begins with a glorious contouring walk from Rifugio Bonatti before descending into Val Ferret, where the climb of Grand Col Ferret begins. The top of the col brings up Switzerland. 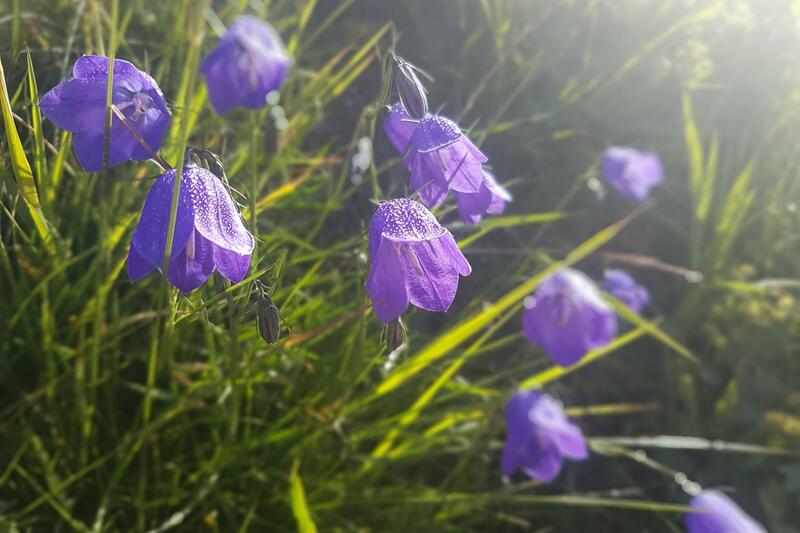 Descending through picture book scenes of chalets, grazing cattle and fabulous alpine views you soon reach La Fouly, an idyllic alpine village of wooden chalets overflowing with flowers. Hotel Edelweiss is a comfortable mountain chalet style hotel. Walking through the Val Ferret with its patchwork of peaceful forests and green pastures is balm for the body and soul as this is the easiest stage of the TMB. On the way to Champex you will be walking on some of the quietest trails in the Mont Blanc Massif. The village of Les Arlaches, made up of traditional wooden Swiss Chalets, seems to have leapt from a postcard and is a highlight of the day. Your overnight stop is the lakeside town of Champex. Since 1895 the Bisselx family have welcomed guests to their comfortable mountain hotel in the true tradition of Swiss hospitality. You can look forward to relaxing on the sunny terraces and dinner featuring regional specialities. The official route goes via Alp Bovine, a splendid walk through pine and larch forests interspersed with alpine meadows and wonderful views down the Rhône Valley. Alternatively the demanding variant goes via the spectacular Fenêtre d’Arpette to the Trient Valley. Climbing to 2665m it’s a challenging and exposed route but worth every step. Whichever route you choose you will end the day by descending right to the valley floor to the small village of Trient. Walk via Alp Bovine: 17.5km, 750m Ascent, 950 m Descent, 5.5 Hours. Nestled deep in the valley Trient is always bursting with walkers on the Tour du Mont Blanc and Walkers Haut Route and both of these hostelries cater admirably for them. From Trient, you climb to reach the French border at Col de Balme (2191 m). From the col the entire Mont Blanc Massif stretches ahead; the Chamonix Valley, the summit of Mont Blanc, the Aiguilles, the Mer de Glace and the Argentière glaciers! The route then continues via the Col des Posettes and Aiguillette des Posettes, with wonderful views throughout, before descending into the Chamonix Valley at Tré le Champ. From Tré le Champ you can either walk the 1.5km to your hotel in Argentière or catch the free shuttle bus. Located on the main road in the heart of Argentière the Hotel Couronne has 40 comfortable rooms and a restaurant specialising in Savoyard dishes. The next two days are a real highlight of the Tour du Mont Blanc. The views across the Chamonix Valley to the Mont Blanc Massif are outstanding throughout. From your hotel the trail climbs via Aiguillette de Argentière to the Grand Balcon Sud of the Aiguilles Rouges, taking in a few fixed ladders on the way. You are now in the Aiguilles Rouge Nature Reserve and sightings of Ibex, Marmot and many other furry creatures are common. You continue to climb to Lac Blanc, where the idyllically situated refuge is the perfect spot for lunch. Another hour of descent brings you to the cable car station at Le Flégère, continue past the cable car and take the 'Balcon Sud' route traversing across the mountainside with stunning views of Mont Blanc as you go. The balcony route arrives at Planpraz where you can take the cable car down to the centre of Chamonix. Enjoying a quiet location with great views, despite being so close to the centre of Chamonix, the hotel l'Arve has 37 comfortable rooms and a friendly welcoming atmosphere. Begin your day by catching the cable car back up to Planpraz. For your last day on the Tour du Mont Blanc, you have several options. The toughest, but most rewarding takes you all the way to Les Houches via the Col du Brevant & the rocky pedestal of the le Brévent (2525m). Mont Blanc seems within touching distance on the opposite side of the valley. Descent past Lac Brevent and traverse onwards to Bel Lachat before making the descent to Les Houches and a short bus or train ride will take you back to Chamonix. This day can be shortened at several points. 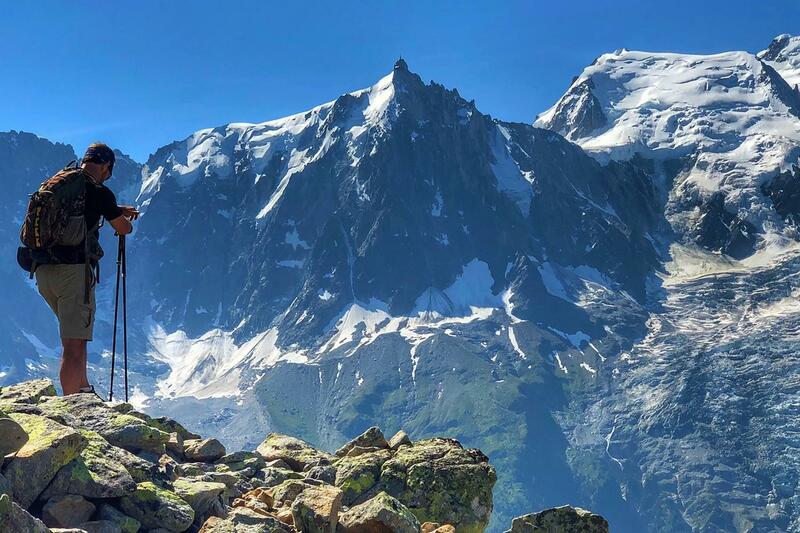 Chamonix is the centre of mountaineering in the French Alps and always a hive of activity and is the perfect place to celebrate the end of your walk around Mont Blanc. Chamonix is a great base to spend a couple of days, and we would recommend that you add extra nights here. You can enjoy some fabulous walking in the Aiguilles Rouge Park, take the cable car to the Aiguille du Midi at 3795m or perhaps the train to the Montenvers on the Mer de Glace. If you are heading home there are numerous shuttles, buses and trains back to Geneva and throughout France. 11 Nights accommodation is included in your trip. 8 Nights are in small hotels (generally 2 & 3*) and 3 nights are in auberges/refuges in a private twin rooms as hotels are not available in these locations. We carefully select small friendly hotels that offer great value, food and welcomes. The accommodation we normally use is detailed in the itinerary. As the Tour du Mont Blanc season is short and as the "Comfort" trips have proved to be especially popular this year, please be aware that there is currently no guarantee that private rooms will be available in the smaller accommodations. We will still continue to do all we can to accommodate your preferences. Please be aware that twin & double rooms in Switzerland are typically 2 single mattresses side by side in one double bed frame with two separate duvet covers and pillows. This trip is not available to solo walkers. Single rooms are available on 8 nights and a single supplement is payable. 11 breakfasts and 8 evening meals are included (Courmayeur & Chamonix not included). Packed lunches are available from your accommodation (order the night before) or you can stop on the way. Allow about €10 per day for lunch. Drinks are not included but available at all overnight accommodation. The season for the Tour du Mont Blanc runs from the start of July to mid September. The trail is sometimes closed until the first week of July due to snow, in which case your tour would need to be rescheduled or cancelled. Please note that public transport in the area in the shoulder month of September is limited. This means that certain 'short cut' options will not be at your disposal during these months. Those hiking in these months should be prepared to walk the full distances each day. In the itinerary description you will find the daily distances both with and without any possible short cuts. This tour is not available to solo walkers and single rooms are not available except on the first and last nights. A supplement is payable. 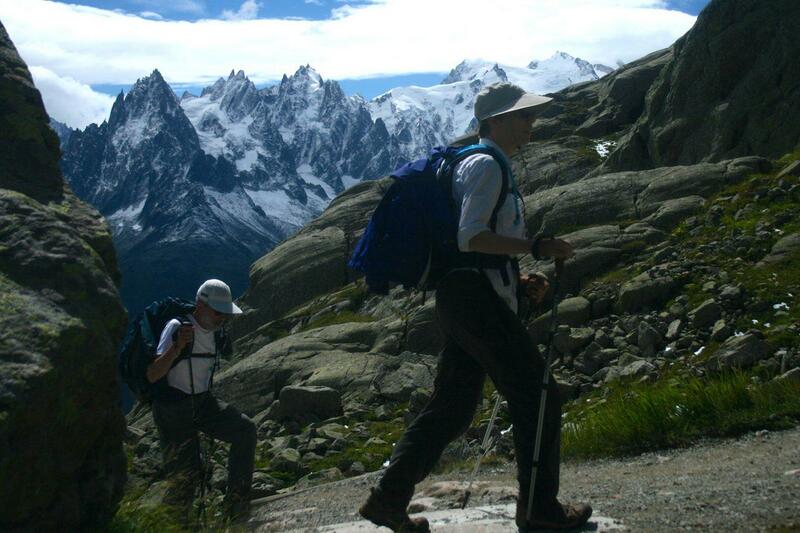 The Tour du Mont Blanc is a tough trek with considerable ascent and descent on each day. We would suggest that you are an experienced walker who is looking for a challenge. If you currently don’t enjoy an active lifestyle we suggest regular walking in hilly terrain supplemented by cardio vascular exercise for at least 6 months prior to your walk. A good gym or personal trainer will be able to draw up a personalised training programme. The terrain is mountainous, rocky and rough underfoot. There are two sections that include the use of fixed ladders and footholds, and require some very light scrambling. This is on the Grand Balcon du Sud route between Tré-le-Champ and Lac Blanc/Le Flègére on Day 10 and again between Col du Brévent and Le Brévent on Day 11. Both sections can be avoided by taking an alternative route. These will be detailed in your route notes. The Tour du Mont Blanc is comprehensively way marked at all junctions and by regular paint marks along the trail. We supply you with detailed 1:25 000 IGN maps, a comprehensive guidebook and route notes so you should have absolutely no problem following the route. We also provide you with access to the Macs Adventure Smartphone App, which you can use to navigate. We strongly recommend using this App, or at least having it on your phone ready to use should you ever be in any doubt about your direction. You should also polish up on your map and compass skills prior to departing, as weather and visibility can change very quickly in the mountains, and these kinds of skills never go out of fashion! Baggage transfer is included as standard, allowing you to enjoy the trek with just a light day bag on your back. We ask that you limit your baggage to one bag per person with a maximum weight of 15kg per person. On this particular itinerary, your bags cannot be transfered to Refugio Bonatti (night 5), due to the inaccessibilty of the accommodation. You will need to carry your overnight things on these days and you will be reunited with your main bag the following day. If you would prefer not to have bag transfer, and prefer to carry everything on your back as you walk, this can also be arranged. Just ask one of your Destination and Adventure specialists for more information. It is a requirement of booking this tour with Macs Adventure that you have suitable travel insurance which covers you for the activity, emergency evacuation and hospital care. The distances and ascents/descents are approximations of the recommended routes. Please be prepared by packing all necessary items, for example, proper rain gear (jacket and trousers), sun hat and sunscreen. Your information pack has a detailed equipment list which includes standard walking gear such as good walking boots or shoes, warm and waterproof clothes for the cooler months and lightweight clothing for summer, and a day pack. If you are finding the going too tough you can use lifts or public transport to skip several of the stages or big ascents/descents. Public transport and lifts/funiculars are not included and although your info pack has full details of each transfer you need to pay for these. The following transfers are necessary during your walk. You should allow about €40 for these transfers. By Air: Geneva is the best airport for the Chamonix valley. From here you catch a train if you wish , but the best option is to take a pre-booked shuttle through a company such as Mountain Dropoffs, for which we can provide you with a promo code to receive a small discount on bookings. By Rail: TGV to Saint-Gervais-Le Fayet. www.voyages-sncf.com For the return, there are regular trains between Chamonix and St Gervais les Bains Le Fayet. Parking: In Les Houches you can park for free at the Bellevue Cable Car station. 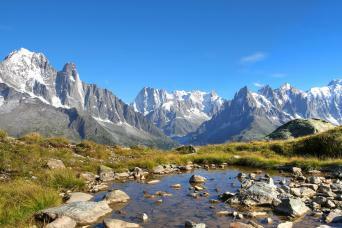 In Chamonix, free parking at the Aiguille du Midi & the parking Planards (Montenvers station). You will need to use the cable car from La Flégère to get to and from your accommodation in Chamonix on day 9/10. Organisational backup and emergency assistance. The Tour du Mont Blanc is a tough trek with considerable ascent and descent on each day. We would suggest that you are an experienced walker who is looking for a challenge. If you currently don’t enjoy an active lifestyle we suggest regular walking in hilly terrain supplemented by cardio vascular exercise for at least 6 months prior to your walk. A good gym or personal trainer will be able to draw up a personalised training programme. The closest airport is Geneva which is served by flights from throughout Europe and around the world. You will need good walking shoes/boots (ideally waterproof), comfortable walking clothes, waterproof jacket and trousers, sleeping sheet, a day pack and hats/gloves etc. A detailed kit list is included in your information pack. The season for the Tour du Mont Blanc runs from mid June to mid September. The trail is sometimes closed until the last week of June due to snow, in which case your tour would need to be rescheduled or cancelled. Some sections of the Tour du Mont Blanc are very easy to skip with the use of public transport, while others are very difficult, time consuming and expensive. We provide you with a handy 'Public Transport and Bad Weather Guide' to the TMB before you leave and will help you in any way possible should you be unable to walk a stage. Organisation was brilliant. Refugees and hotels were excellent. Planning and information top quality. A wonderful adventure. 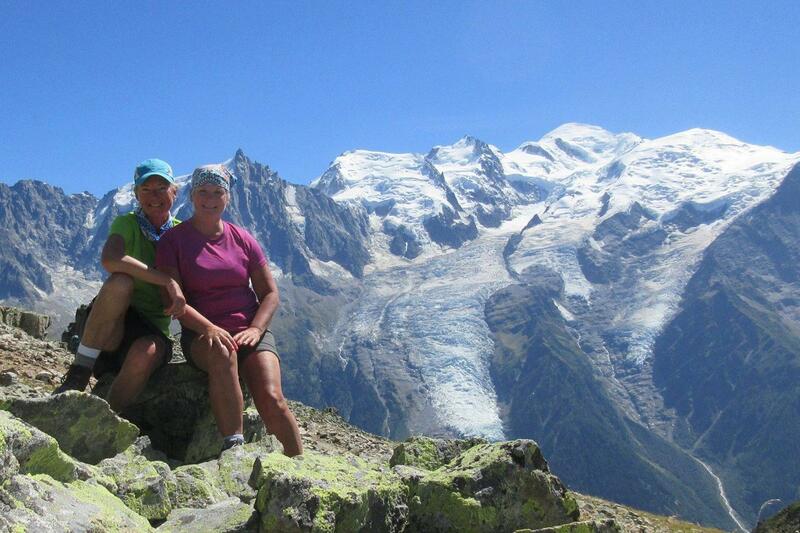 We did the complete Tour du Mont Blanc, the comfort package. Yes, it was a demanding 11 days of hiking. But it was such a delight to arrive exhausted at a lovely high hut or beautiful small town hotel at the end of the day, with our duffle bags waiting for us and a delicious dinner prepared. It truly was a trip of a lifetime. Macs Adventure prepared us very well with trail maps, excellent descriptions of the various routes and supply lists. Thank you. The Macs Adventure Comfort TMB trip was awesome! This hiking trip in the Alps was absolutely beautiful but definitely a physical challenge. Our self guided group was extremely pleased with the accommodations! Shout out to Jess Cohen for answering all our questions prior to our trip! Will definitely use Macs Adventures in the future when planning active adventures! The TMB is one of the best hiking trails in Europe and as such it offers excellent views and well marked trail. The organization was perfect except one evening where we had to wait for our luggage till 20:00. Apart of that it was great in all matters. The trip was very well organized with great accommodations. The people who ran each accommodations were also extremely helpful and friendly. They understood the Tour completely and helped us a lot. We especially liked Macs' GPS map system on our phones. This was invaluable in helping to keep us on track, and was especially helpful in towns and neighborhoods and when walking on roads. Great trip, challenging (you need to be fairly fit) but enjoyable. Good accommodation, especially Hotel Belvedere in Champex, friendly with great food. We carried waterproofs every day, worth it as one day got caught in thunder, lightning and heavy rain. We are experienced walkers who have tackled many long distance walks in mountain terrain as well as flatter walks - e.g. the Camino de Santiago. 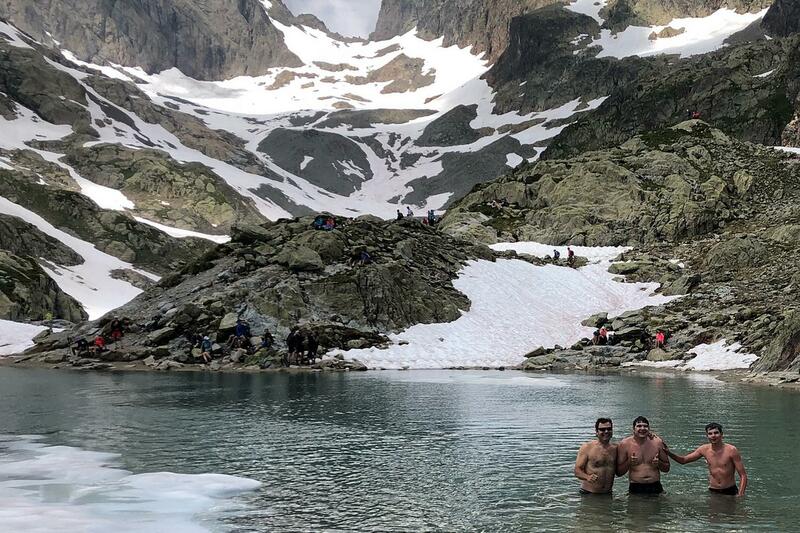 The TMB is a significant challenge and requires a good level of fitness and good experience of walking in the mountains, not least because the ascents are long and some of the descents quite tricky. But Macs Adventures, as ever, came up trumps with great organisation and good accommodation. Thank you! Constant communication from Minna from the time we booked til departure date! Maps, apps, trip notes, directions, baggage transfers, etc. all excellent. Best Hotel - 1) Bouton D'or, great breakfast. Least favourite - Hotel La Chemenaz, Les Contamines, evening meal there very poor. Auberge Mont Blanc not great, though food good. Great breakfast in Hotel Couronne, evening meal not good. Beat evening meal in the Nova Hut. Overall, food and accommodation was good. I would more carefully consider. Just got back from our vacation. There is so much fresh in our minds so I'll do my best to add them. I do not believe any vacation can be perfect, ours was as close as it could get. Great weather (no rain) and wonderful people. Overall the experience was almost flawless. Of course there are some areas that would have made it exceptional and since that's what reviews are for, I am offering my suggestions. This version of the Tour du Mont Blanc is perfect if you want to enjoy all of the Tour du Mont Blanc staying in comfortable accommodation in private rooms. The tour is rated moderate-strenuous with daily ascent/descent being 1,000m on average. Bag transfer is also included so you can walk unencumbered with just a day pack.